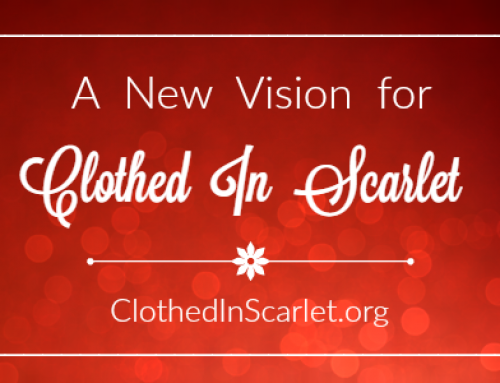 It’s great to be back to blogging here at Clothed In Scarlet! 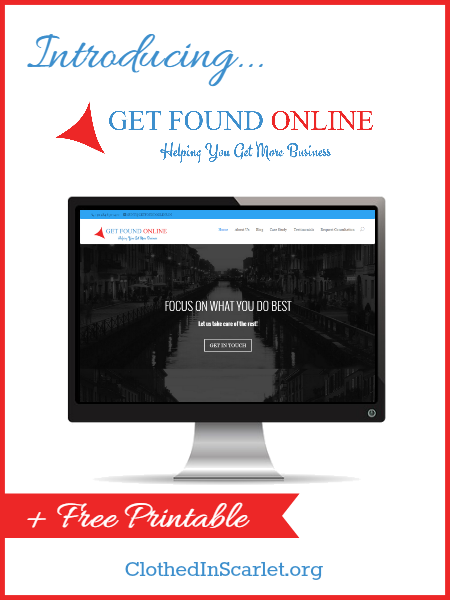 Introducing my new business… GET FOUND ONLINE !!! 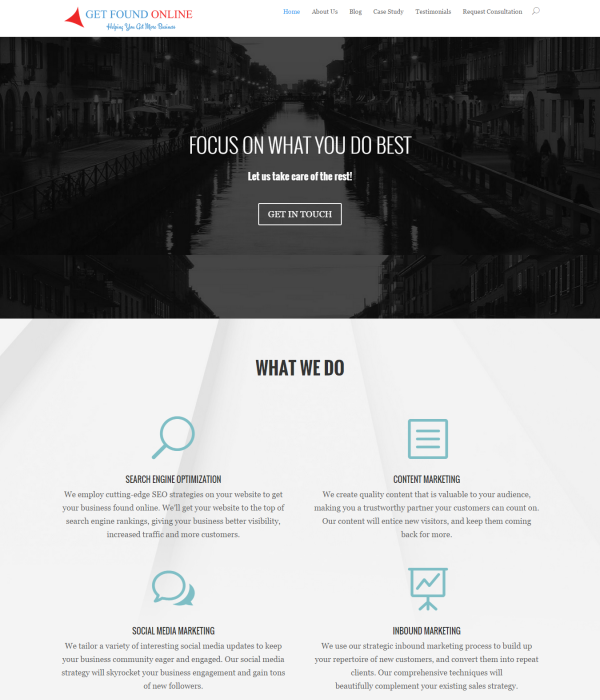 I’ve been in the internet marketing field for over 5 years now but never thought to launch an actual business. All my work this far has been done online, except for meeting local clients in their office. 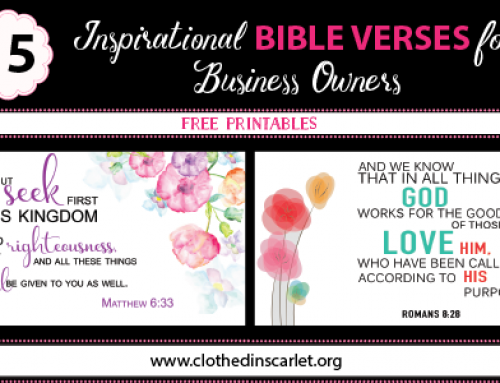 When God prompted me to take my business outside the home and start an actual brick and mortar business, I was terrified. Honestly, I was not ready for risks I’d have to take and the extra work I’d have to put in. Thankfully, my husband has been very supportive from the get go, and he’s the one who’s been at the helm as we started the new business. I stepped back from blogging in April, so I could work on my new site and get everything in place. 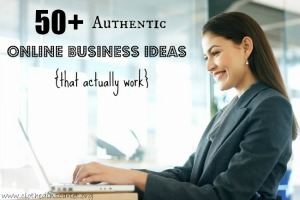 The hardest transition for me was going from a work at home mom to working mom. I had worked outside the house as a teacher long back, but this time I was an entrepreneur running my own business outside the home. We rented an office space, got it furnished and hired a team to work alongside us. This new venture is both exciting and scary for me… and I know I couldn’t have done it without God’s guidance and grace. 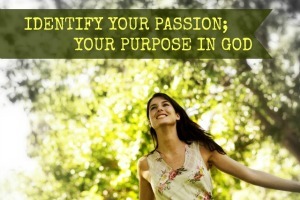 God has been faithful, helping us move confidently forward, just one step at a time. 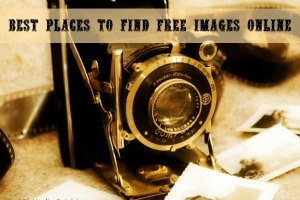 In the past 5 years, I have worked online as a freelancer, launched quite a few websites, created a handful of products and provided numerous services. All this past experience has prepared me for the stage I am in now. 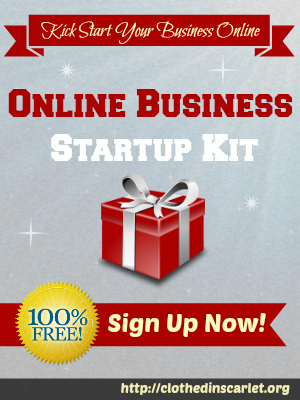 If you’re in the process of setting up your business, I want to encourage you not to give up. Even if you don’t gain any traction in the first few months, keep going. Your hard work will bear fruit, and all the experience you gain along the way will be useful in the long run. This month, we’re also celebrating 2 years of Clothed in Scarlet! We’ll be celebrating our 2 year anniversary with free gifts for you! Your emails, comments and feedback mean a lot to me… Clothed in Scarlet would not be a vibrant community without your presence. I couldn’t have done it without you! 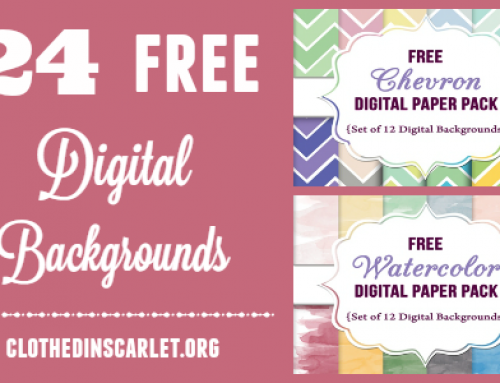 We’re kicking our month-long anniversary celebration with a free printable I created just for you. 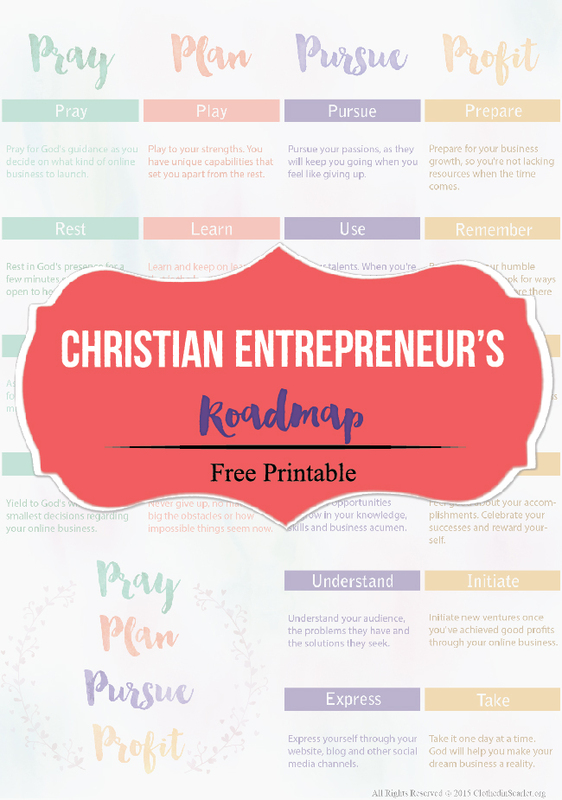 The Christian Entrepreneur’s Roadmap is a simple guide to show you the way to your online business success. 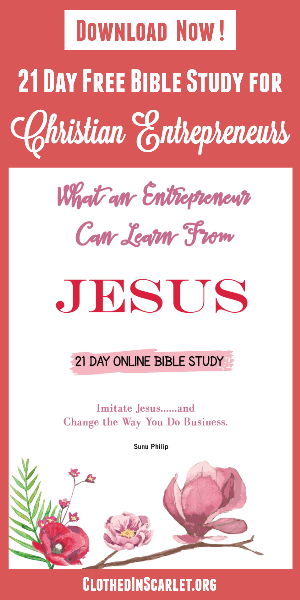 I hope it encourages and strengthens you in your journey as a Christian entrepreneur. We have a lot of exiting things coming up on Clothed In Scarlet. 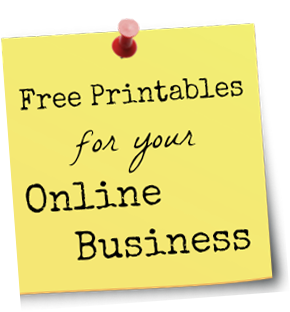 We really want to help you establish your online business, and provide more helpful resources to get things going. 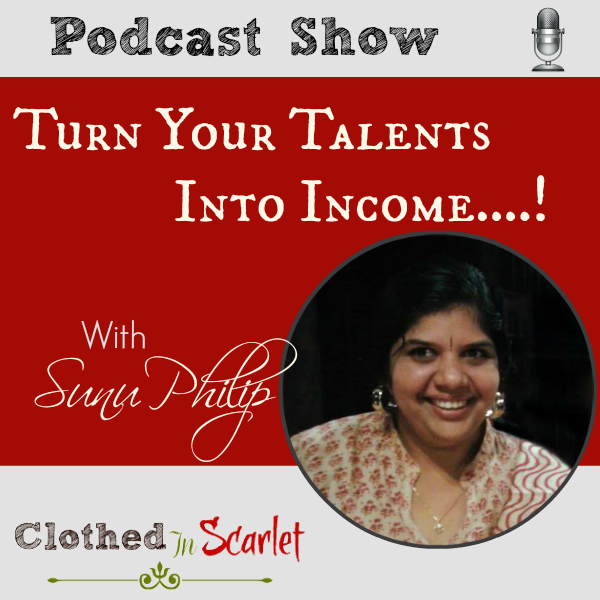 In the meantime, I’d love to know how Clothed In Scarlet has helped you launch/grow your own online business. Won’t you leave a comment below and let me know? 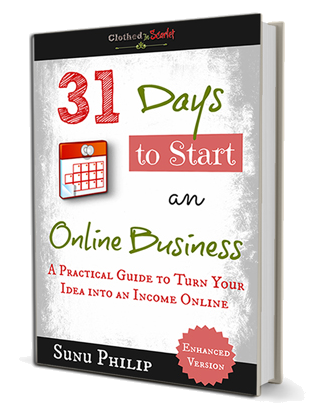 I am thrilled you are going to be offering your comprehensive services through a new business, Sunu! 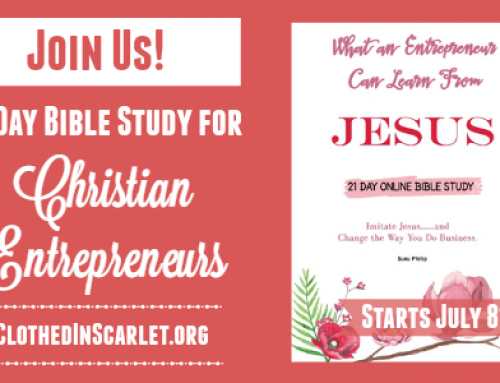 You and Clothed in Scarlet have helped me so much with the step-by-step systems to put in place for my online businesses and your encouraging emails have appeared in my inbox at times I needed them the most. 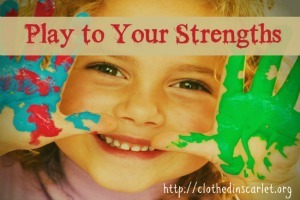 Because I have several publishing, writing and online projects in various stages of infancy, the information and resources you share through Clothed in Scarlet have become one of my top go-to “sanity sites” to help me focus and move forward in my mission to teach others how to write and share their story. I don’t doubt your new venture will be a fantastic success and I pray you and your family are abundantly blessed through it. 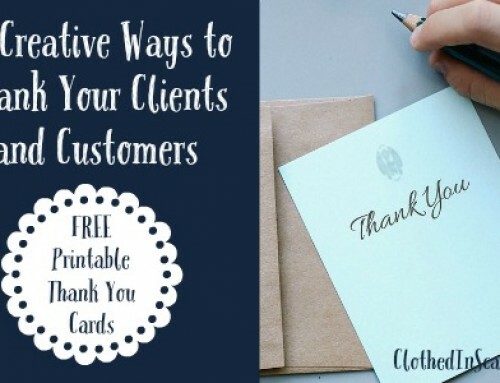 I know your clients will be. Thank you Larisa for your kind words! They truly blessed me! Its really feedback like yours that motivate me to keep on going!! Thank you Sunu. I look forward to seeing all that you have in store. Thank you Juidth! How are you? Its been sometime we had a chat! Congratulations on your new business, Sunu! I am very excited for you. Thank you so much Gaye! oh..its exciting but little scary too! !